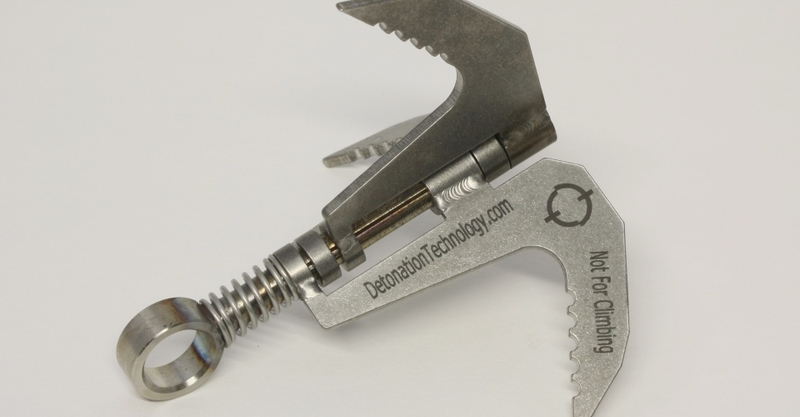 The Detonation Technology DTGH-2 Grapple is designed specifically for dismounted C-IED operations. 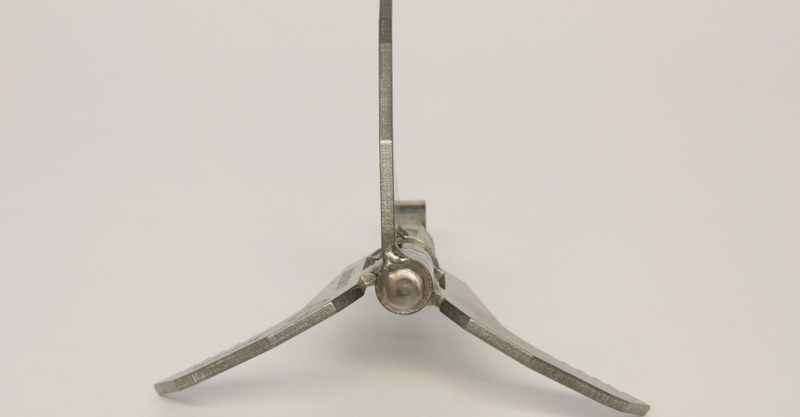 The four tines fold flat to be tucked out of the way in a pouch or pocket, then snap open with a twist of the wrist. There are no parts to thread together or lose. 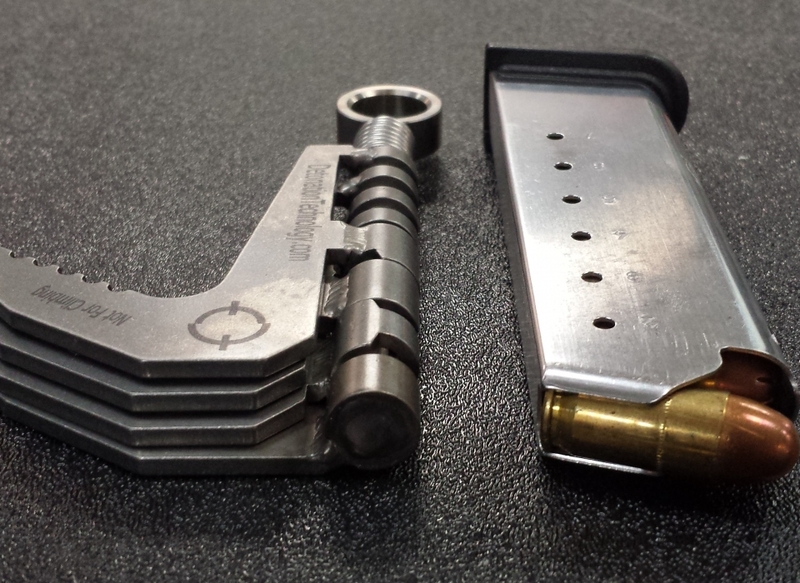 We believe this is the best grapple on the market for Explosive Ordnance Disposal use. 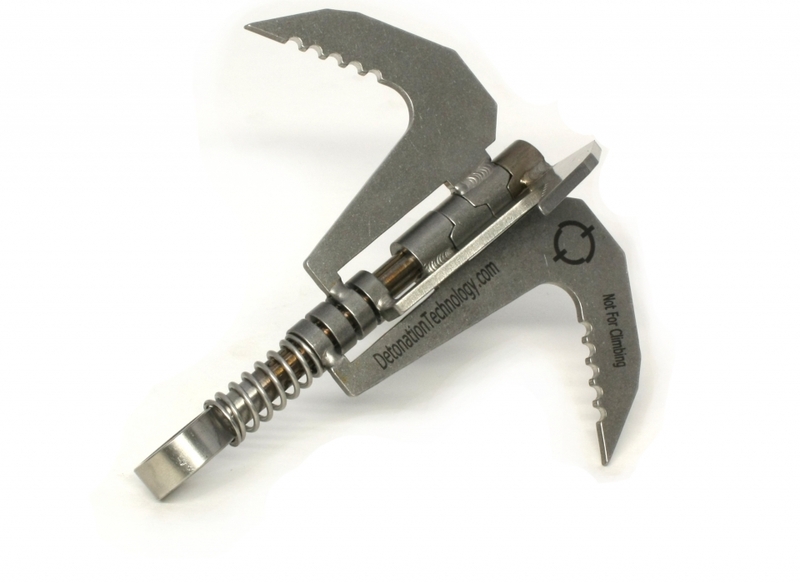 Conventional climbing grappling hooks aren’t ideal for EOD for a variety of reasons. First is size. A climbing grapple needs to be large enough to hold you, plus a safety margin. 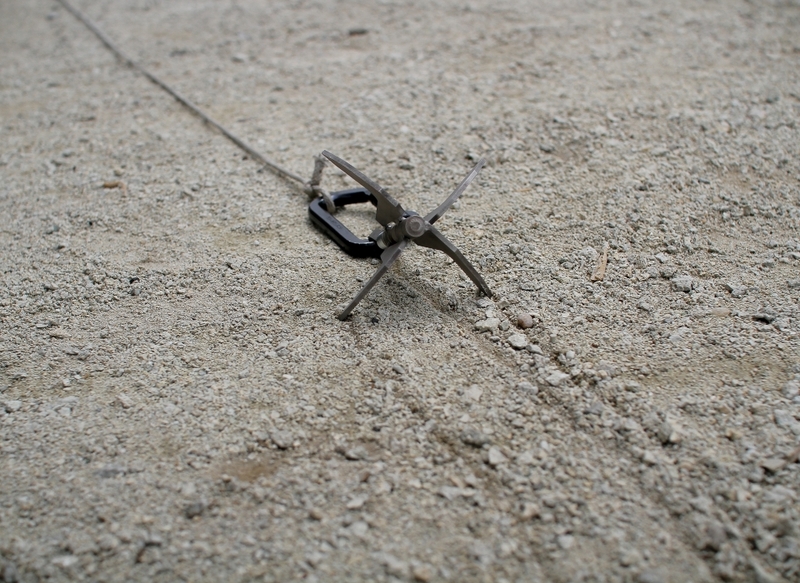 An EOD hook only needs to be stronger than you are, since that is all the load that is put on it. Overkill on strength leads to extra size and weight. 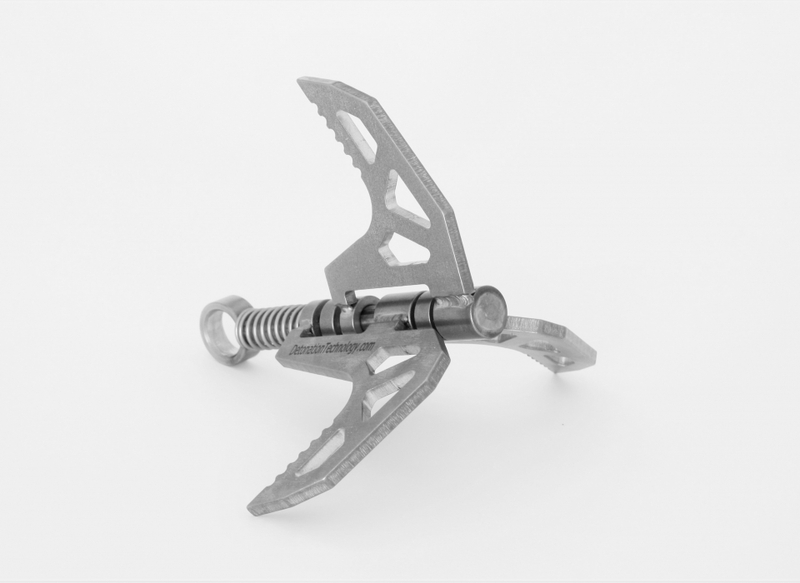 The difference between this grapple at less than 5/8″ thick and a climbing grapple at 2″ means you can keep this one on the front of your body armor in a pouch or pocket, instead of a climbing grapple stuffed in a pack. This may not seem like much to the uninitiated, but those seconds are a big deal when you’re hunting IEDs. 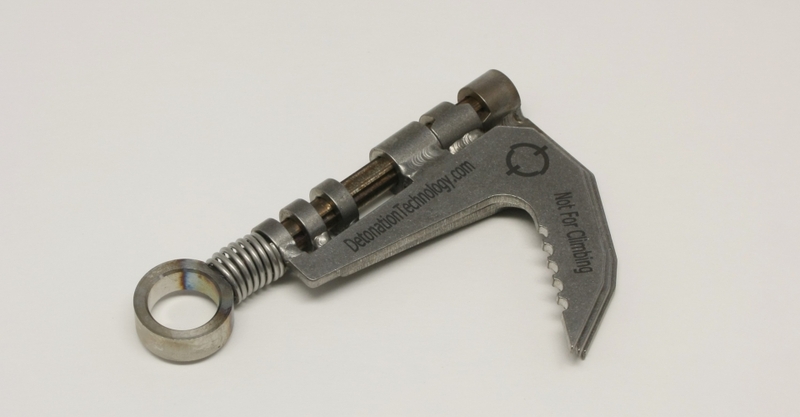 If you need an even more robust hook check out the DTGH-3. 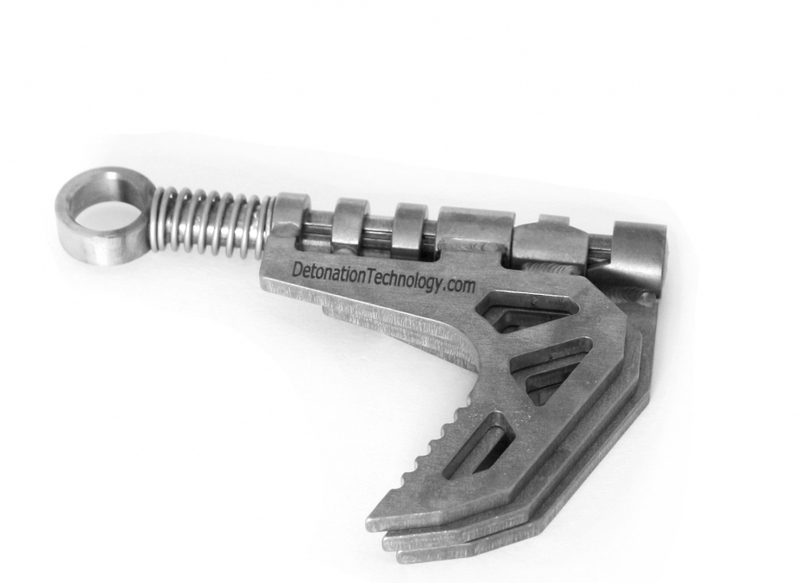 Three 3/16″ thick tine provide the extra brute strength to extract buried ordnance or obstacles, but with a lower angle to the ground as compared to a four tined version. Same 1/8″ tine as with the DTGH-2, but with three tines to keep size and weight to a minimum.